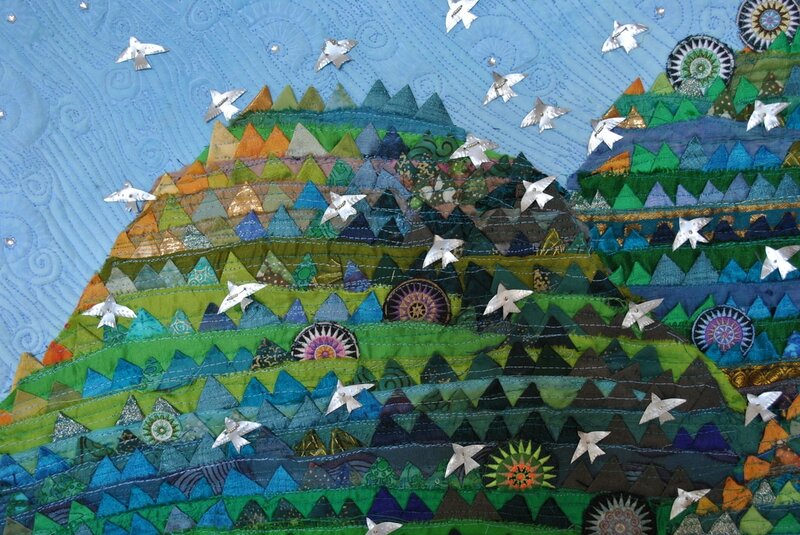 The Sky Prayer Series represents many wishes, hopes, dreams, and thoughts rising collectively to fill the sky above us. In this piece, there are 108 birds flying collectively in a murmuration. 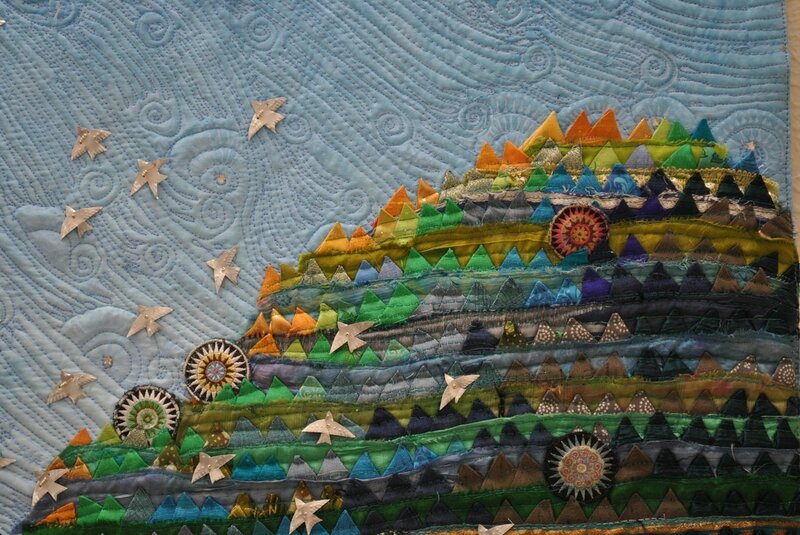 ​This piece was constructed using small folded prairie points of silk, satin, cotton, and metallic fabric sewn onto recycled silk sari ribbon and trim. It is hand beaded and embroidered. The birds are cut from recycled cans and hand embossed and attached with beads.